Let’s pretend for a moment that the recipe I am about to share with you is not a chocolate milkshake. It tastes like a milkshake, it looks like a milkshake but it is not an actual milkshake. No, this creamy, chocolate, thick-as-mud shake is actually a blend of frozen banana, coconut milk, almonds and cacao powder. But you can call it a chocolate milkshake if you prefer. 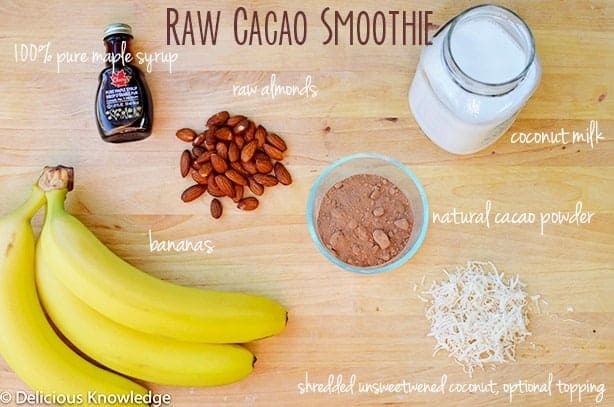 I’ve been enjoying this raw cacao smoothie before our weekend long runs and it’s the perfect zip of fuel that I need. Only two more weeks until our 1/2 marathon and I am really excited to see what impact our training will have on our race times. Although our weekday runs haven’t changed much, we’ve gradually increased our weekend runs by 1-2 miles each week. While the small increases haven’t been too challenging, it’s a nice way to try and keep my pace consistent with each added mile, a fun little game I play with myself and Map My Run. For these runs, I need a little something extra before hand to keep me going. A few bad runs have convinced me that while I may not need to eat before I run 3 miles, the story’s not the same past the 90 minute mark. Enter this shake smoothie. It’s the perfect blend of simple carbohydrates with a little protein and healthy fat for balance. Smoothies are my prefered pre-workout food since they digest easily and don’t weigh me down. That’s part of the reason I typically forgo fuel before me weekday workouts, I would rather feel hungry than full. If you’re looking for more ideas on pre-workout fuel, my list of favorites are here. What’s your favorite pre-workout meal? 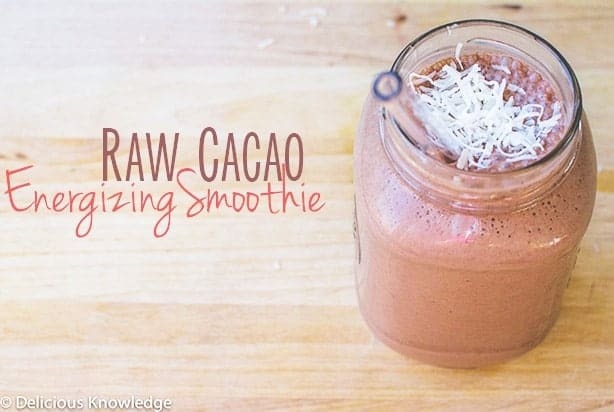 This creamy, chocolate, thick-as-mud shake is actually a blend of frozen banana, coconut milk, almonds and cacao powder. Place all ingredients in a high powered blender and puree until smooth and creamy. If you want it more icy, add a few ice cubes to the blender. This looks fabulous. 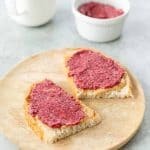 I’m training for a half marathon myself and this sounds like a great snack to try before my long runs. Sounds delicious. My go-to pre-run fuel is usually toast with peanut butter, but this smoothie sounds so much better. Do you think it would turn out okay with almond milk instead of coconut milk? I just usually have almond milk on hand and that’s not always the case with coconut milk. 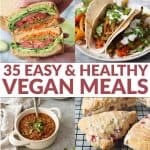 Sounds yummy I also use smoothies before runs and after long runs. Glad you are gradually increasing your miles, you will do great! yes to almond milk! You can replace the coconut milk and will be just as yummy! I would TOTALLY call this a milkshake! And then have it for dessert. And it will make my day.